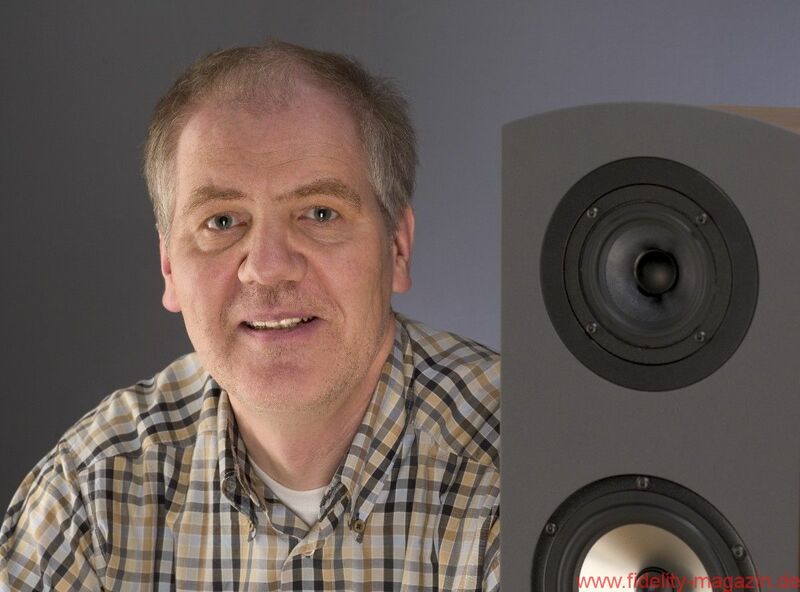 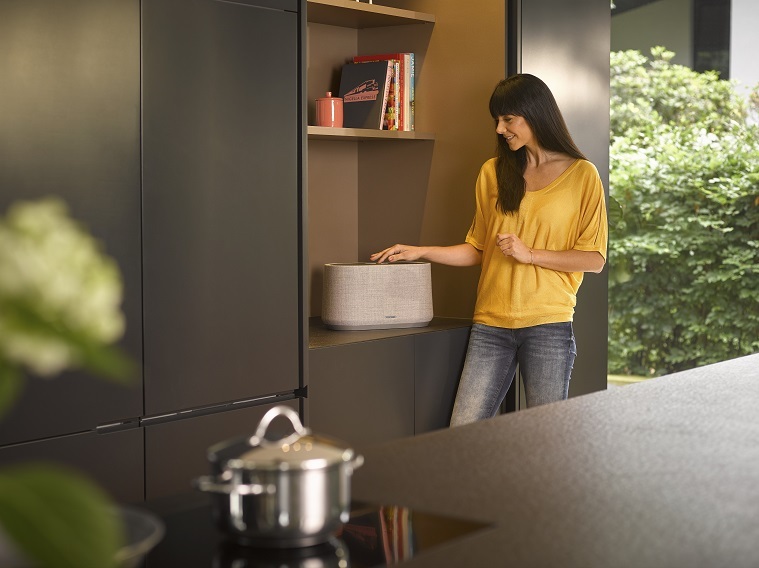 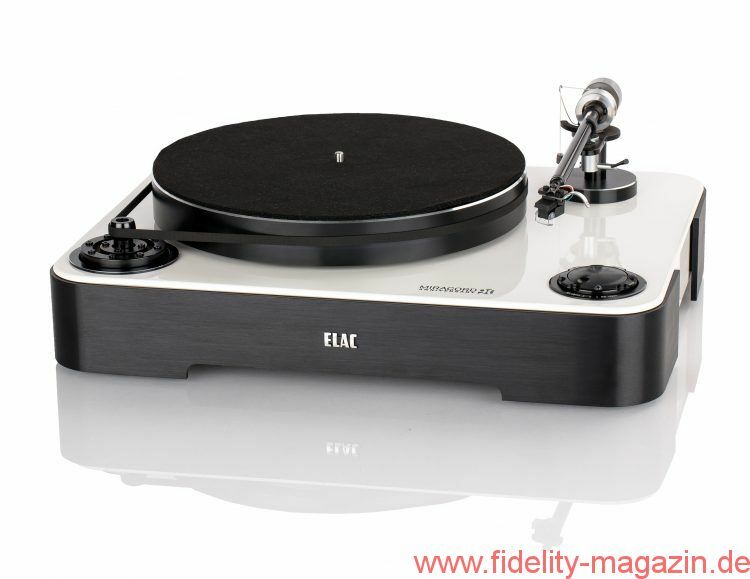 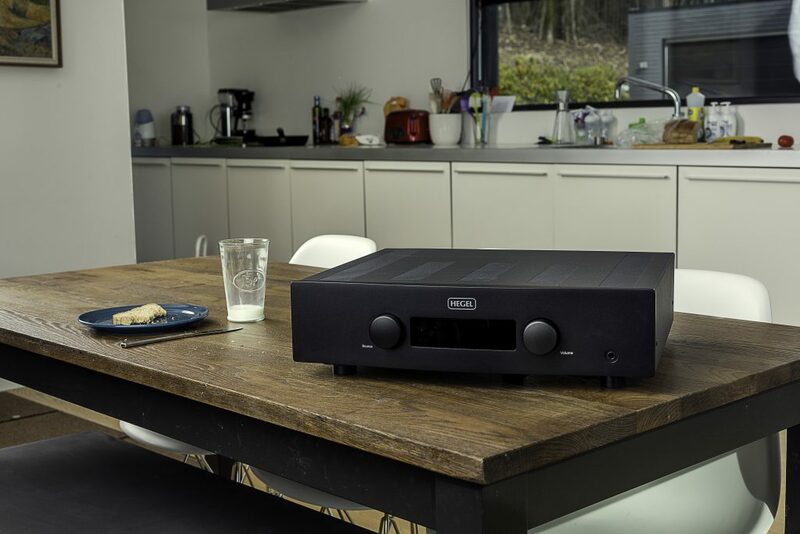 As is the case with more than a few founders of hi-fi companies, Peter Schippers – born in Aachen in 1954 – joined his fondness for music with a passion for technology and physics at an early age. 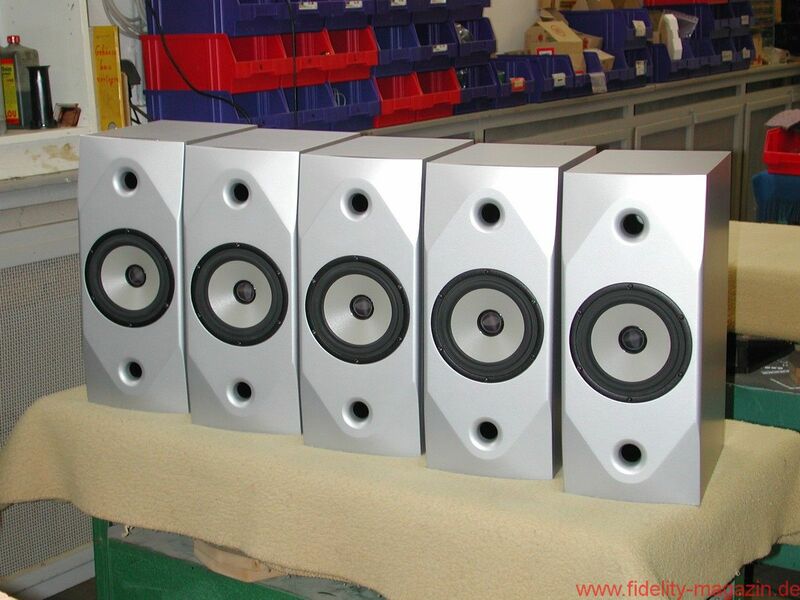 He put together loudspeakers and sold them to friends while still in school. 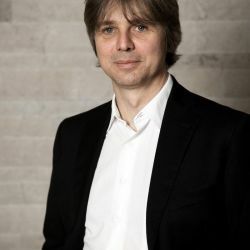 At the age of 15, he moved with his family to Würzburg where he completed his Abitur and began studying physics and mathematics. 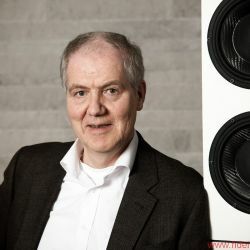 In 1974, he completed the first ever technical work in physics at a German school – on the very telling subject of “Frequency separation as illustrated by the example of loudspeaker crossovers”. 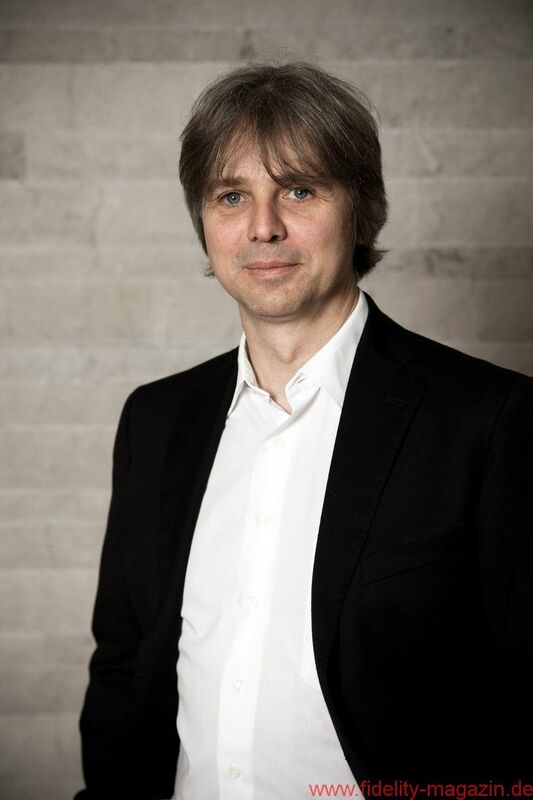 In 1979, Peter Schippers returned to his hometown to study electrical engineering at the RWTH. 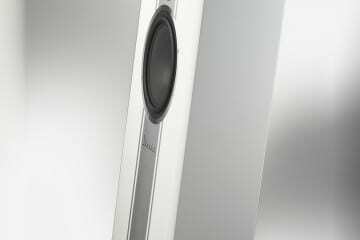 There, he met Detlef Schmidt and the two tinkerers resolved to join together and take their first steps into the loudspeaker business. 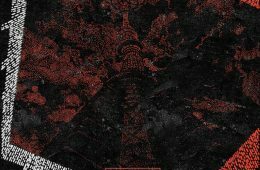 By distributing flyers in the cafeteria and setting up a demo space in an old cloth mill, the two ultimately generated such booming sales that the father of a fellow student – who worked at the tax office – urgently advised them to make their operation legal by officially registering their business. 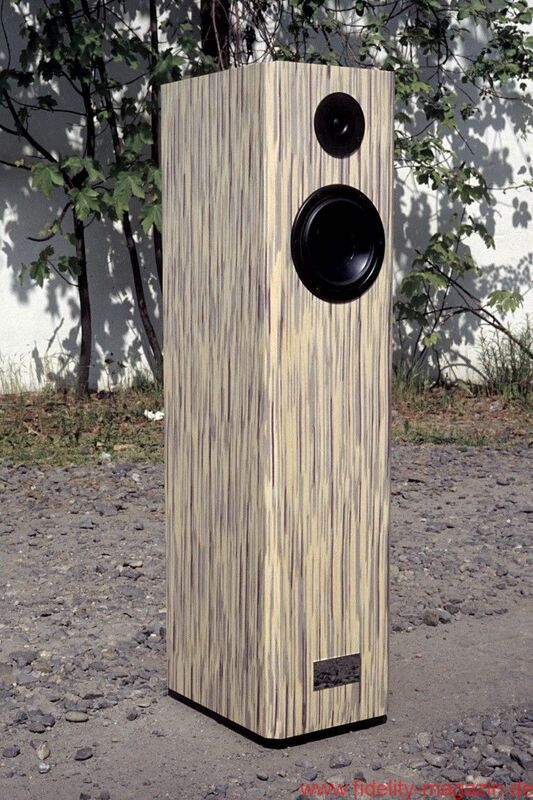 This was the beginning of what the two established in July 1982 as the Peter Schippers & Detlef Schmidt Lautsprecher GbR. 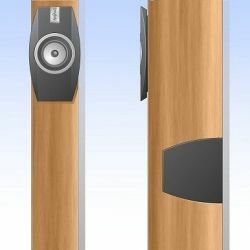 Fascinated by the new microcomputers that had recently been introduced to the market, the inventors decided to not only make extensive use of them in their speaker development, but to actually create a second commercial pillar based on the programming of measurement software. 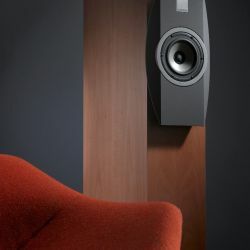 To that end, the two christened their company Audiodata; the term “data”, explains Schippers, used in an industry where autodidactic concepts are not uncommon, would be a simultaneous reference to the designers’ engineering-based approach. 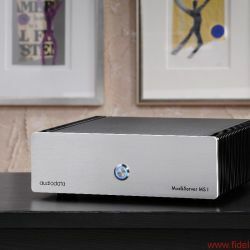 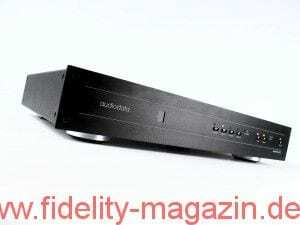 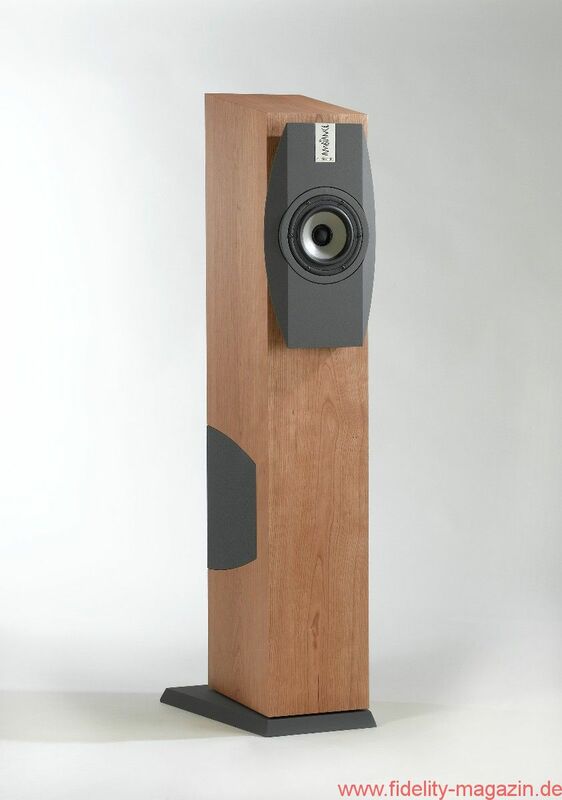 They would achieve national commercial success not with software, however, but with the first loudspeaker model launched by Audiodata: The Bijou was introduced in 1985 and, one year later, after receiving an extremely positive review from Klaus Renner at the legendary hi-fi magazine “Das Ohr”, began attracting great interest by other media, dealers and hi-fi enthusiasts. 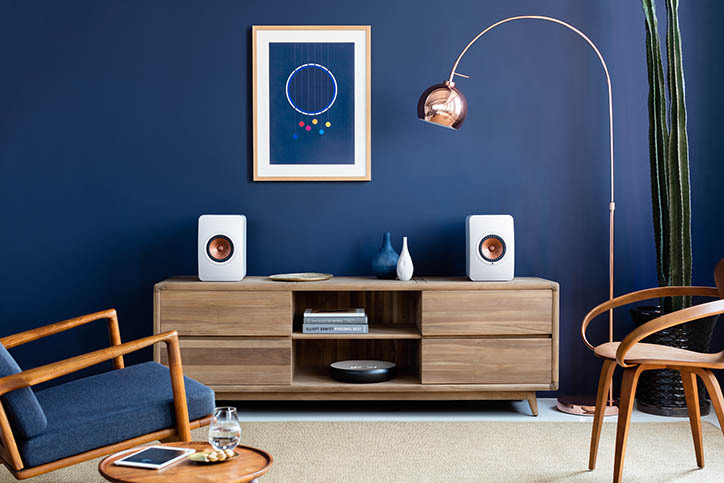 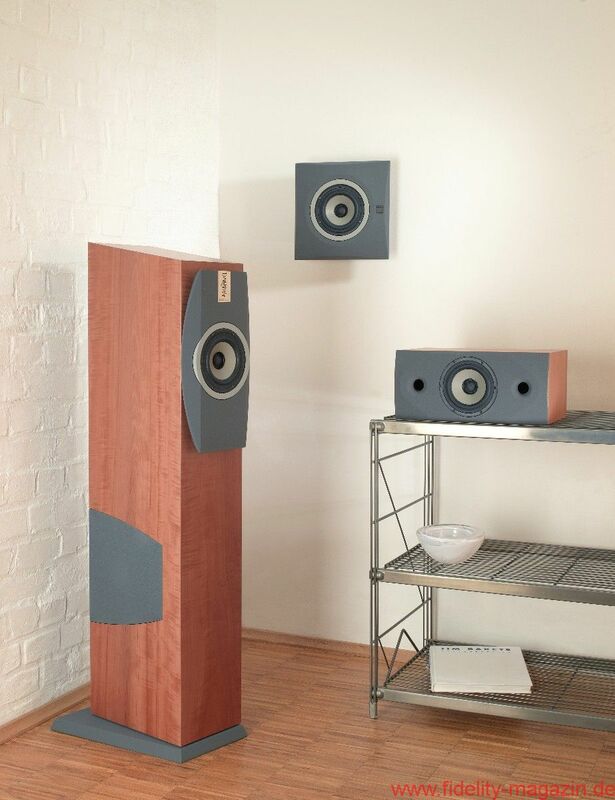 The Bijou, a slender, columnar two-way speaker could be placed freely in the room and was available in a wide range of housing finishes thanks to the in-house carpentry shop. 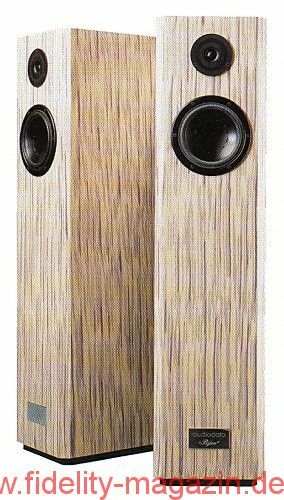 At a time when, according to Schippers, loudspeakers were “chestnut-colored veneer boxes with a brown fabric cover, set up at the wall”, the Bijou represented an optical innovation – and became a big seller: Audiodata sold more than 1000 pairs of Bijou speakers over the next eleven years. 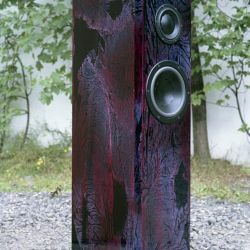 Their special cabinet damping formed by inner chambers filled with steel spheres, which would also be used in later models, was based on precise measurements taken in the scope of a diploma thesis at the Fraunhofer Institute for laser technology at the University of Aachen. 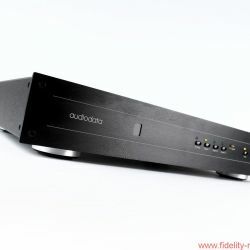 It would not be the last collaboration of this kind between Audiodata and the RWTH over the years. 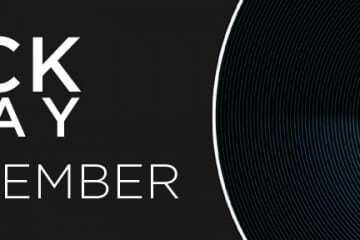 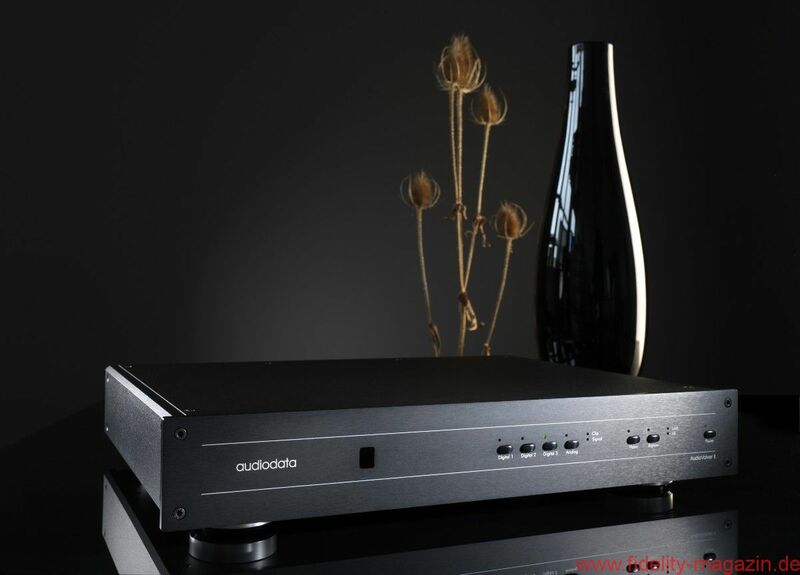 Growing commercial success led to the transition of the GbR entity into Audiodata Elektroakustik GmbH in 1989. 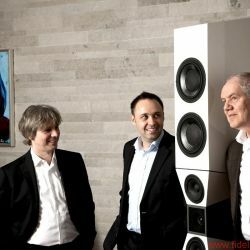 Four years later, Detlef Schmidt left the company for personal reasons and Peter Schippers became the sole shareholder. 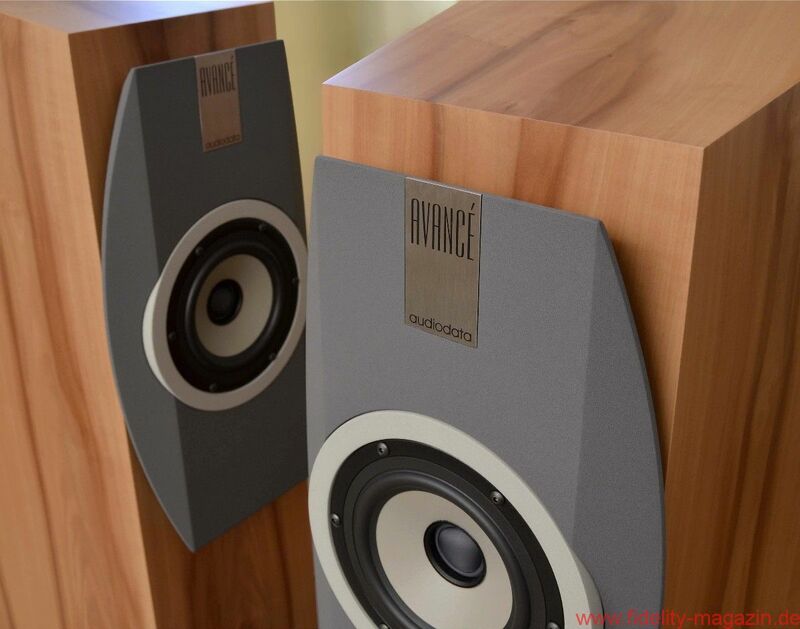 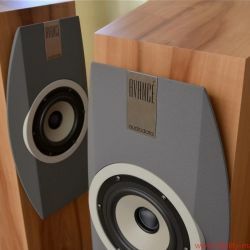 In 1996, he launched the two-and-a-half way speaker Elance, which represented another innovative step in the Audiodata range thanks to its simulation software implemented for the first time in loudspeaker development. 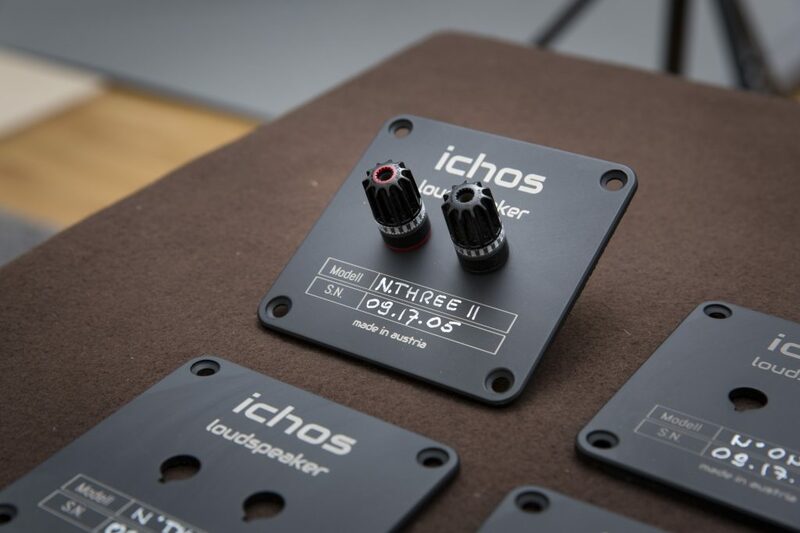 This simulation allowed the design of housing and chassis to be optimized in terms of impulse response and thereby significantly reduce phase and run-time errors. 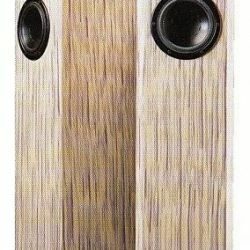 And the shape of the speaker’s backward sloping cabinet also set new standards when it came to design. 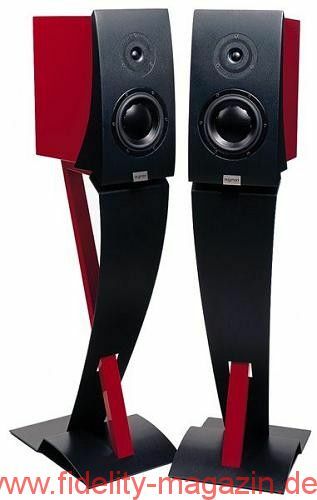 What would become another classic in company line-up was introduced the same year: The active, sensor-controlled bass system Soutien with the Raccord active crossover, which, according to Schippers, played a significant role in establishing subwoofers as part of the high-end market. 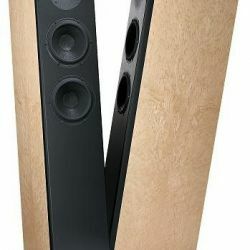 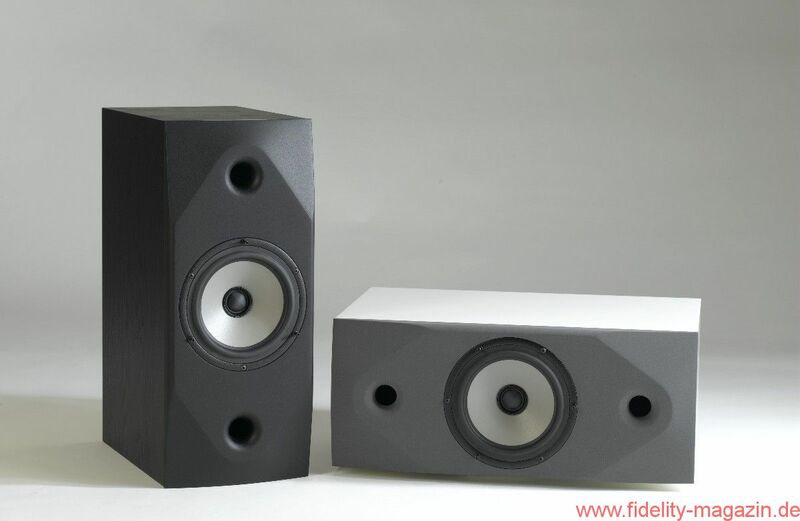 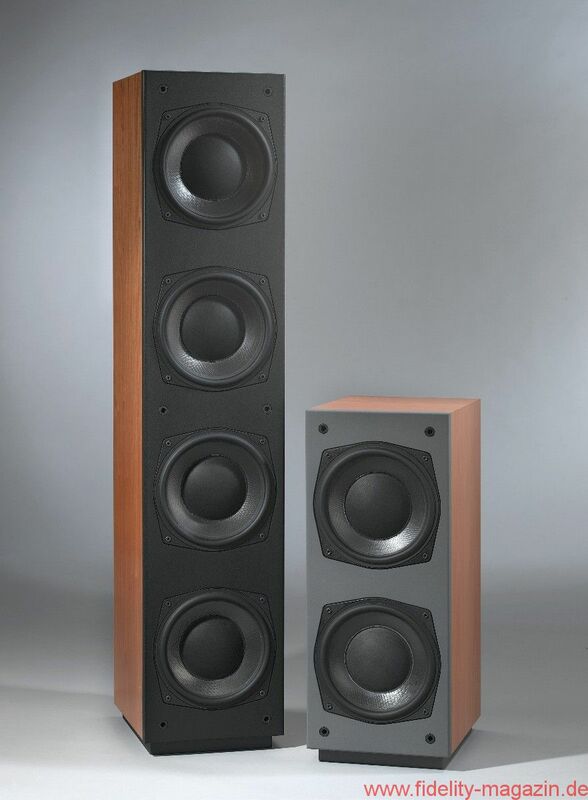 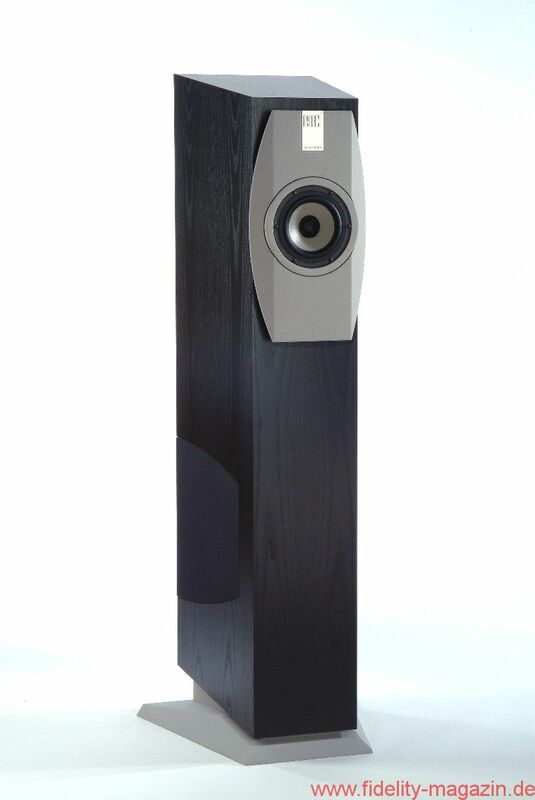 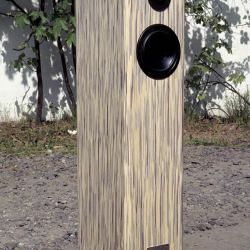 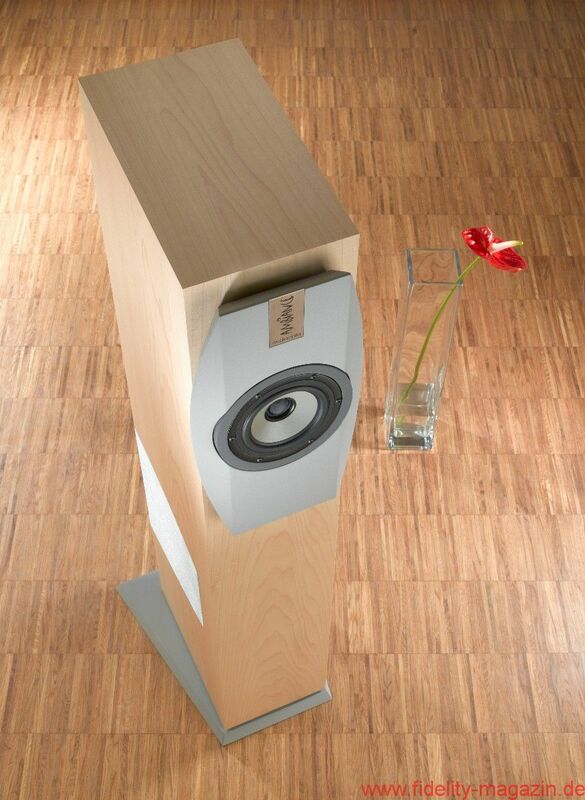 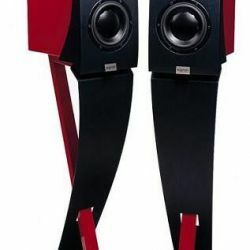 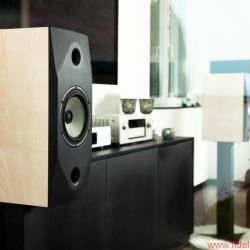 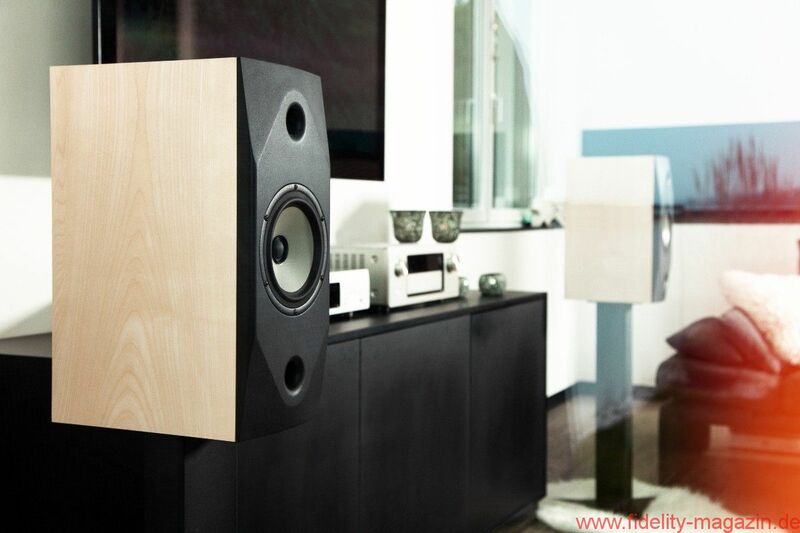 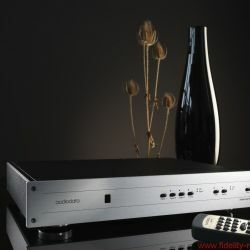 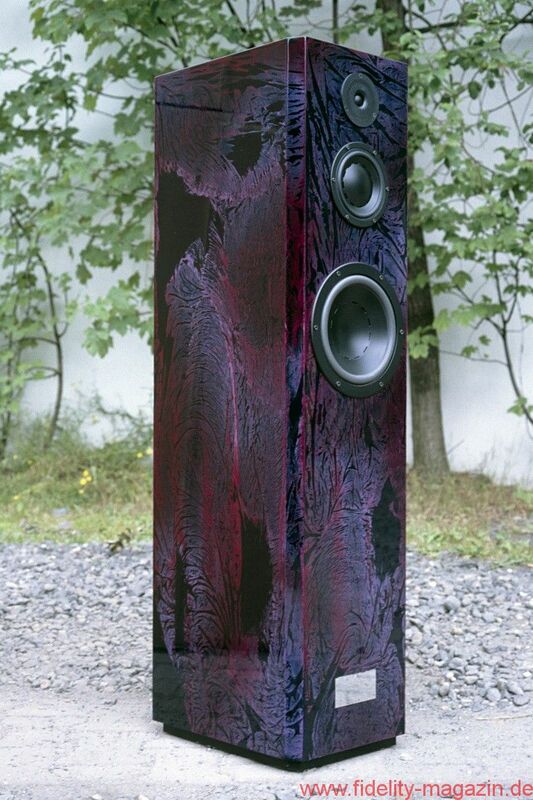 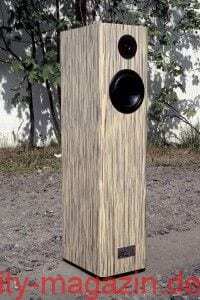 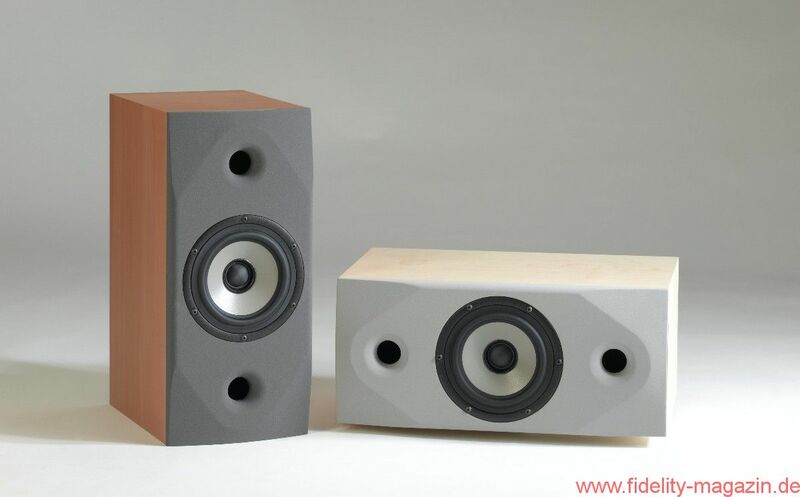 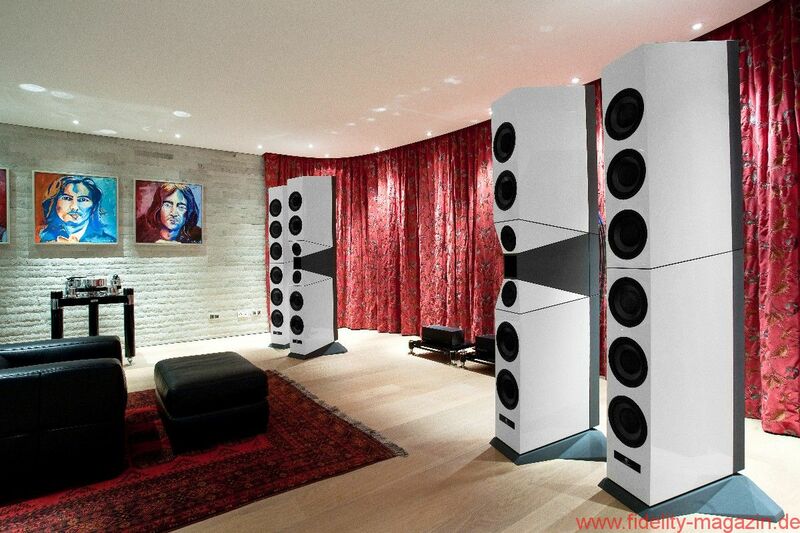 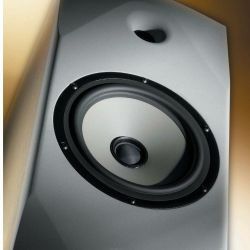 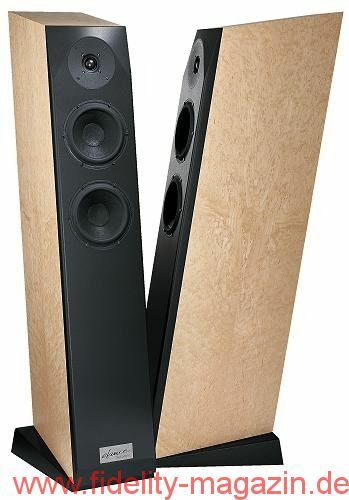 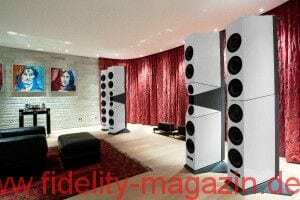 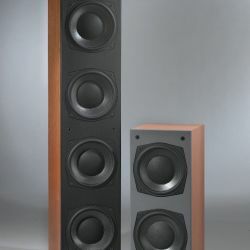 In 2000, Audiodata introduced a reference loudspeaker of the superlative with the more than two meter high three-and-a-half-way speaker Sculpture; the semi-active sound transducer featured six active, individually-regulated woofers. 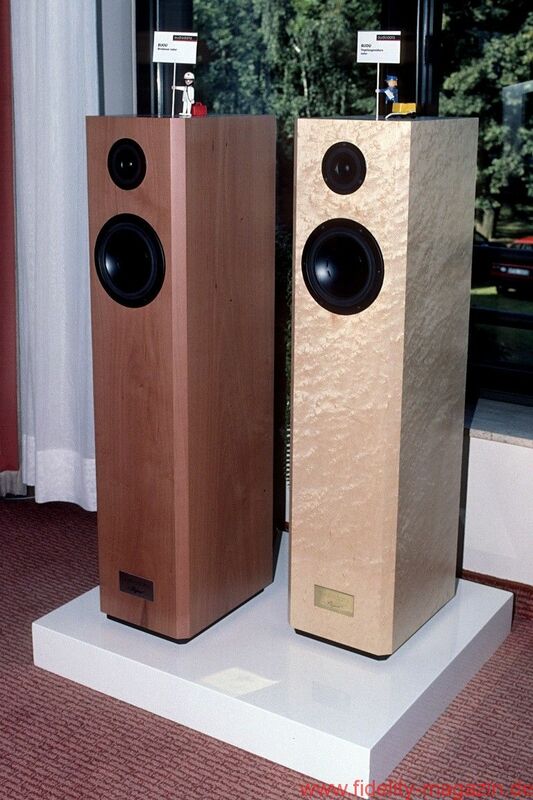 The Sculpture, with its stilt-like design and chassis reminiscent of an hourglass, received outstanding ratings in the trade press and, despite its lofty DM 75,000/pair price tag, was so successful that no fewer than twelve German hi-fi retailers wanted to display them in their studios. 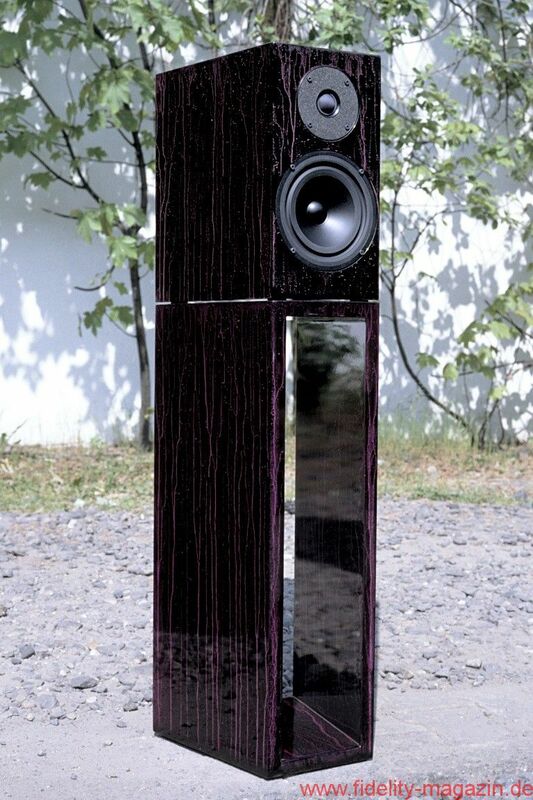 The Sculpture was followed four years later by the Avancé, which took the active bass technology of the Sculpture and combined it with a dual coaxial chassis. 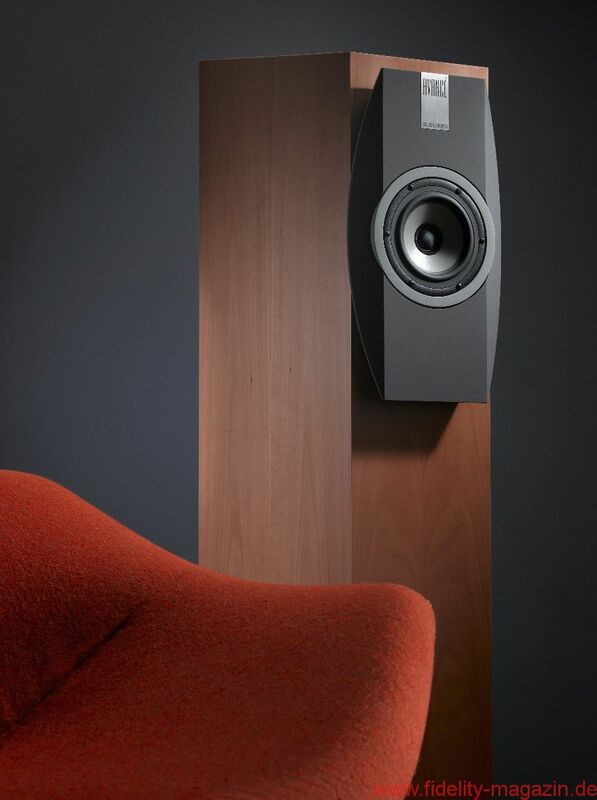 The coax driver developed in collaboration with the Norwegian supplier SEAS offers perfectly symmetrical sound dispersion and thus superior impulse precision in the high and midtones; it would be adopted in all Audiodata loudspeakers from now on. 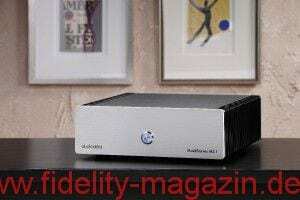 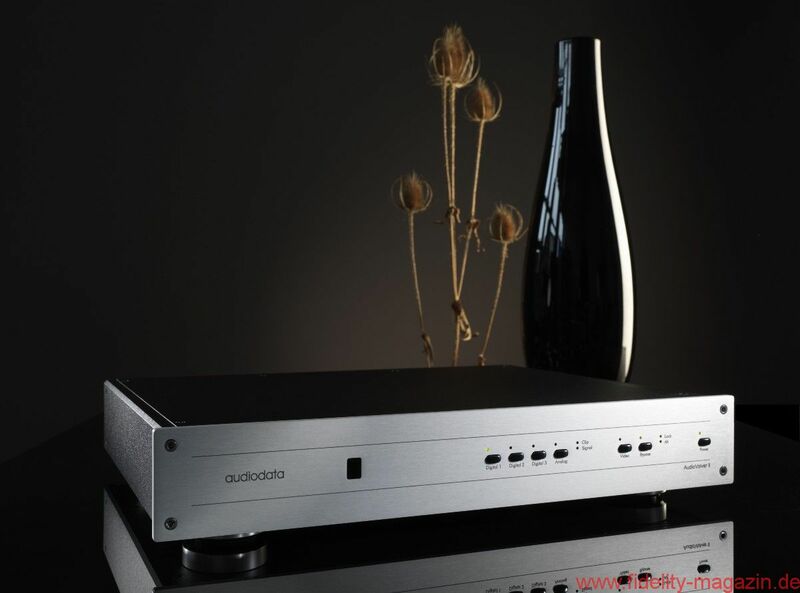 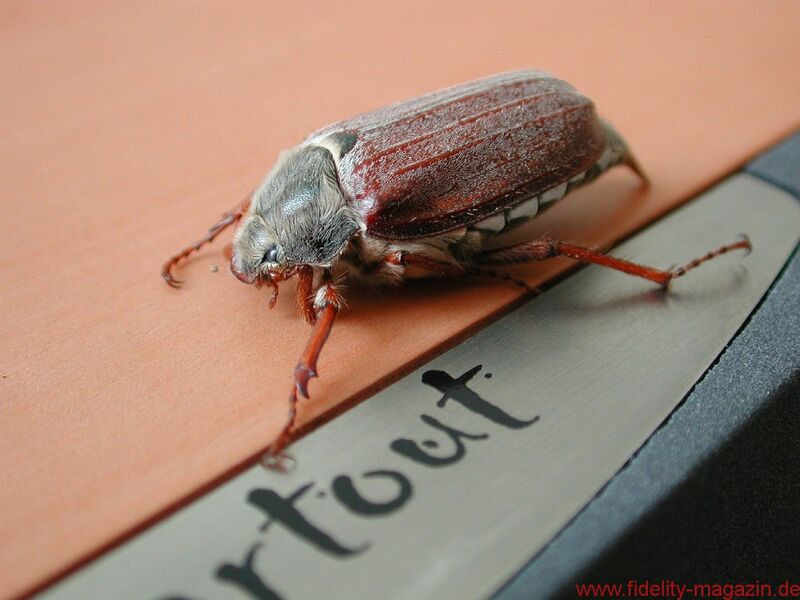 In 2008, Audiodata attracted renewed interest with an entirely new product. 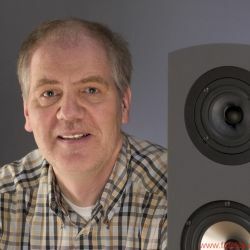 In light of the downward trend in the loudspeaker market in the mid-2000s and increasing marketing demands, Peter Schippers began looking for a way to expand his company’s portfolio while incorporating his metrological know-how to a greater degree. 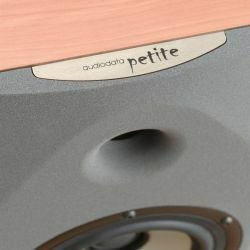 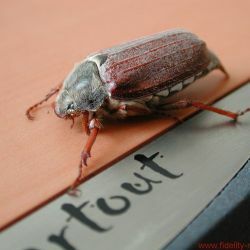 While attending an engineering conference in 2006, he “rather by chance” heard a presentation about Acourate, the measurement and calculation software for audio systems, and its ability to correct a loudspeaker’s time response; fascinated by the prospect, he asked the software developers for a meeting afterwards. 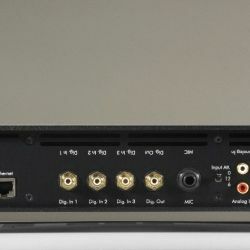 They made a plan to work together and develop hardware that would allow the possibilities of the software to be adequately realized on a hi-fi system. 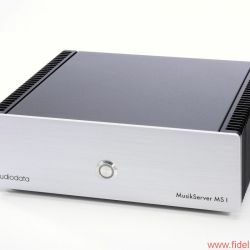 The result, a computer in the form of a high-end component with the name AudioVolver, represented “the evolution of the loudspeaker through other means”, according to Schippers. 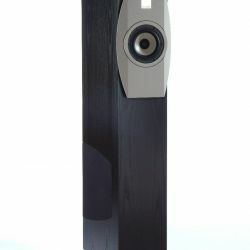 Positioned between the sound source and amplifier, the AudioVolver is employed to filter the incoming signal in such a way that linear distortions from the loudspeaker, as well as sound interference due to spatial asymmetries, room modes and resonance time, are balanced to the greatest extent possible. 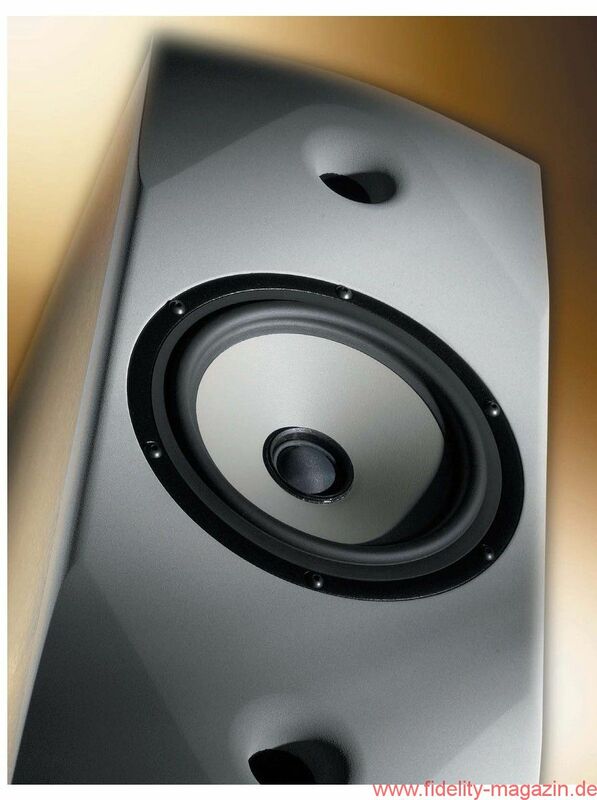 To achieve this, the frequency response can be modified on a linear phase with approx. 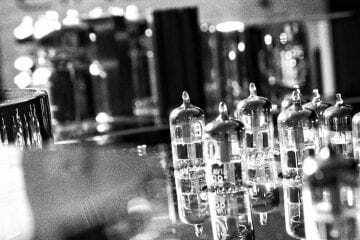 0.6 Hz precision via a digital finite impulse response filter. 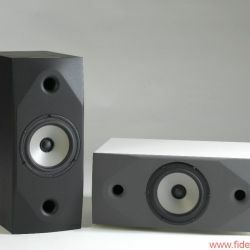 It is also possible to make modifications for specific situations, e.g. 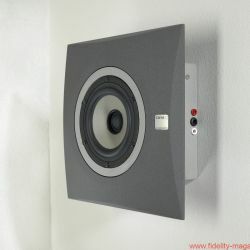 low-volume listening, alternative room arrangements or to compensate for impaired hearing. 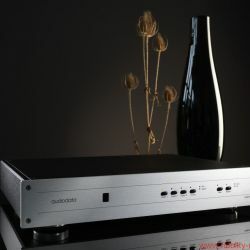 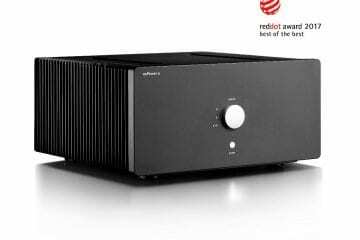 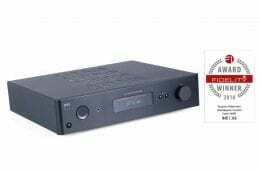 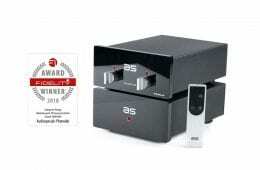 The device can also be used as a preamplifier thanks to its variable, analog outputs. 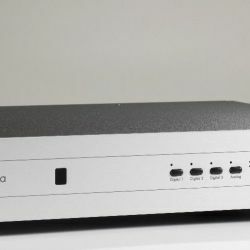 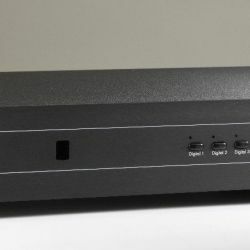 Since 2010, the AudioVolver has featured an Ethernet connector, making it possible to use it as a network player, e.g. 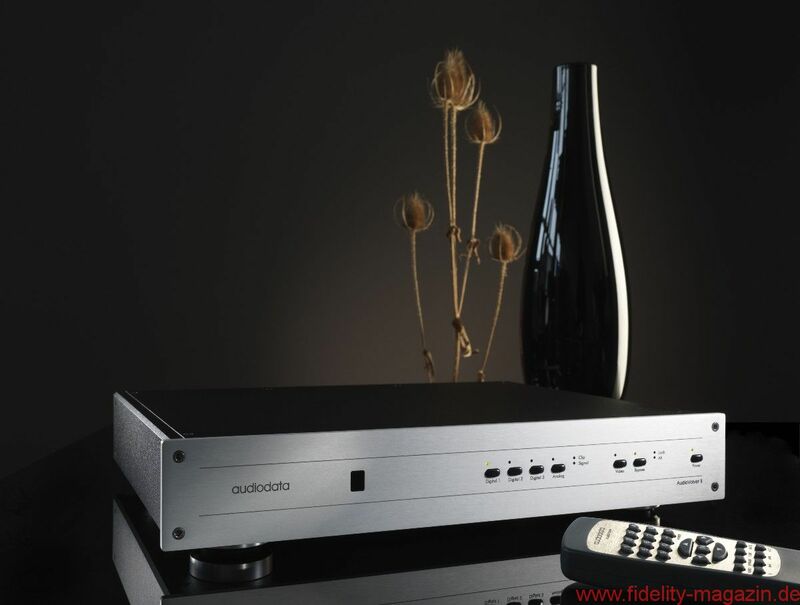 to play sound files from servers or Internet radio; in those days, streaming in high-end quality was “absolute new territory”, says Peter Schippers. 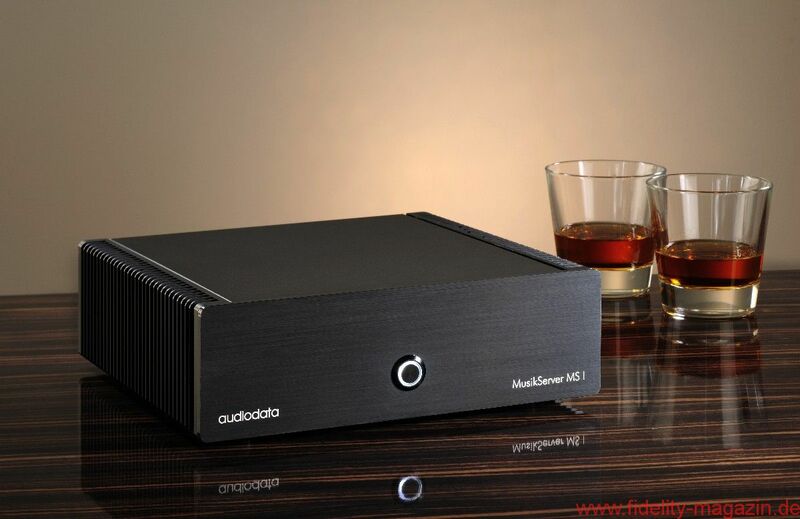 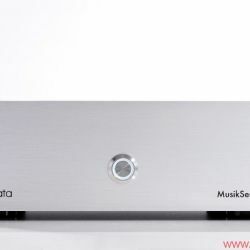 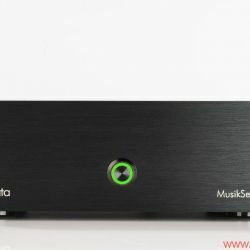 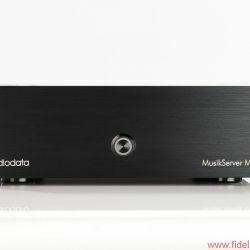 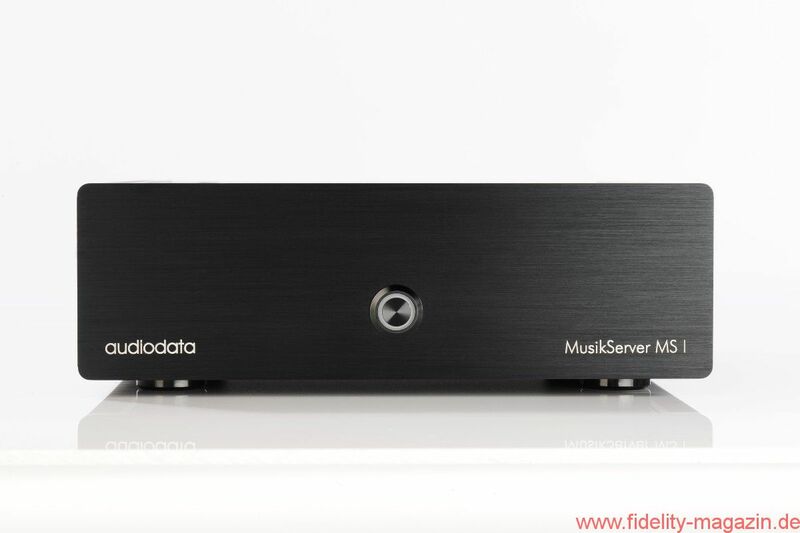 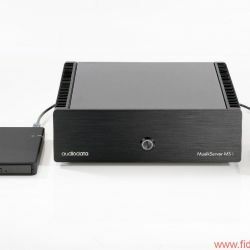 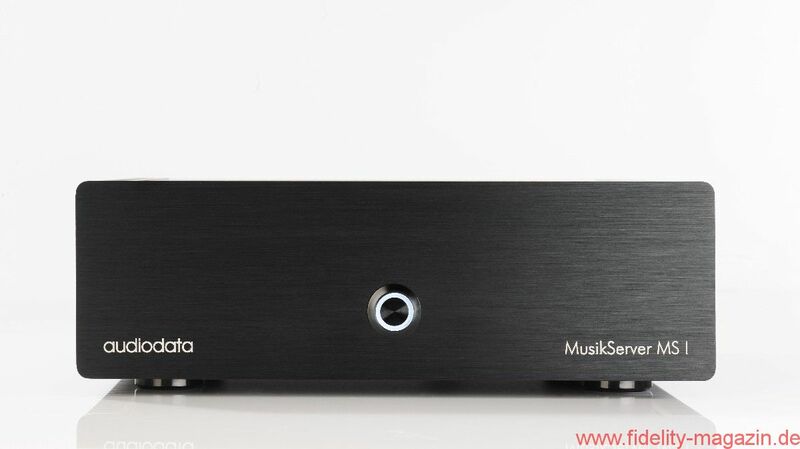 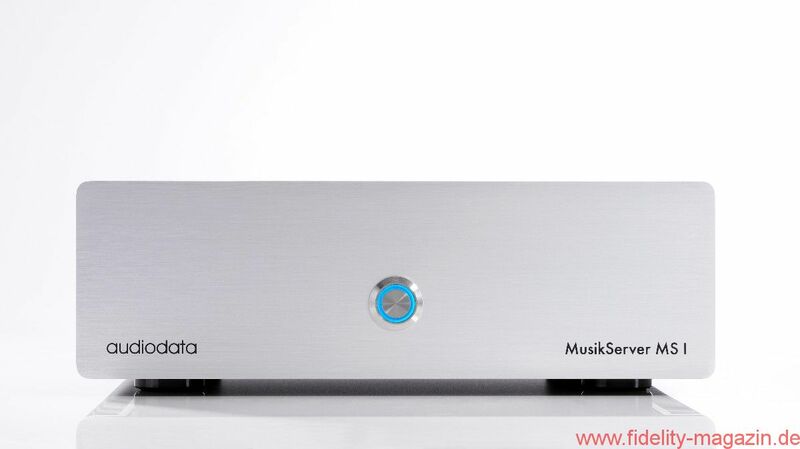 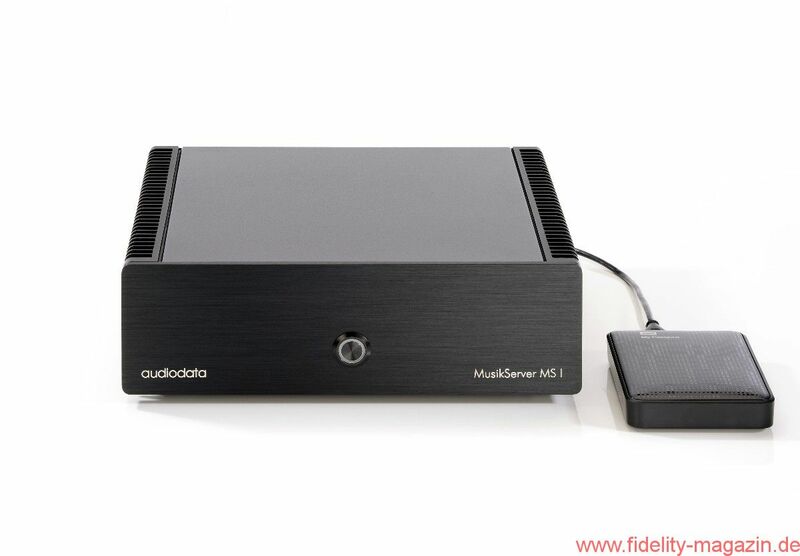 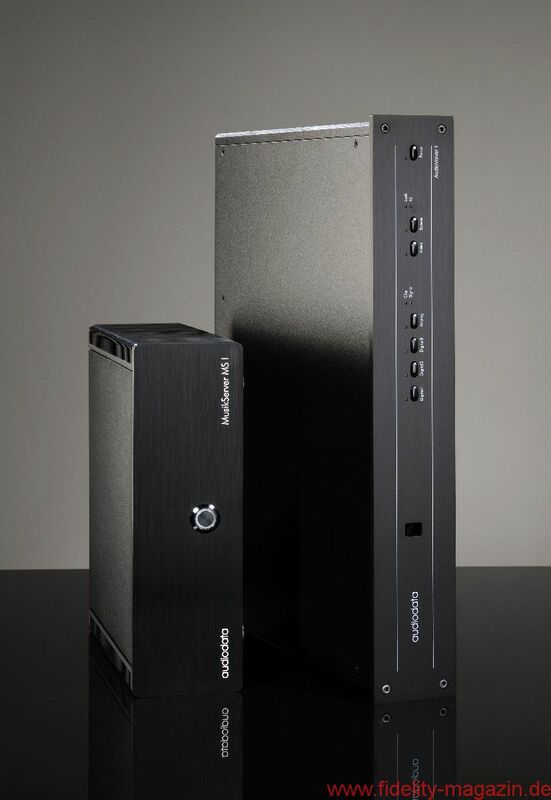 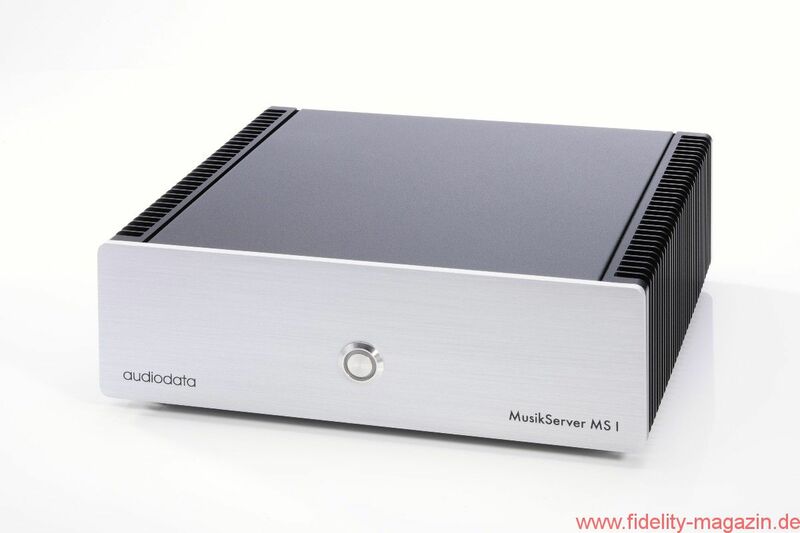 Following this development, in 2013 the Audiodata product line was expanded to include the music server MS I. 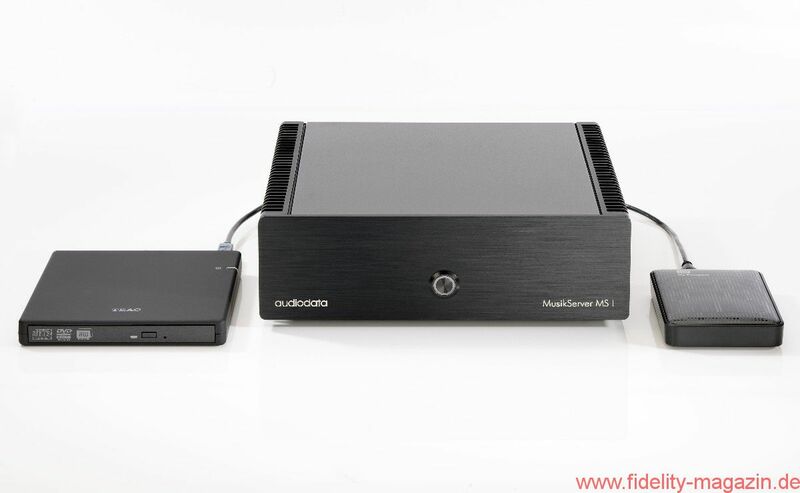 Music tracks stored on a hard drive with up to four terabytes storage capacity can be selected by smartphone or tablet and sent to the AudioVolver (or another streaming client) or sent directly to the amp using a downstream digital/analog converter. 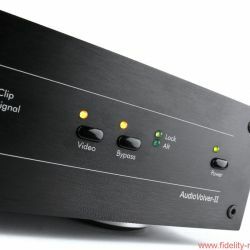 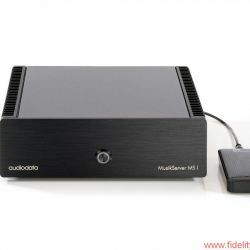 Since, as Schippers says, AudioVolver isn’t one of those products that can be “simply sold in a box off the shelf”, and specialty hi-fi retailers seemed to be overwhelmed by the complex technology, Audiodata felt to some extent obligated to take responsibility for the sale, installation and calibration of the devices at the customers’ premises. 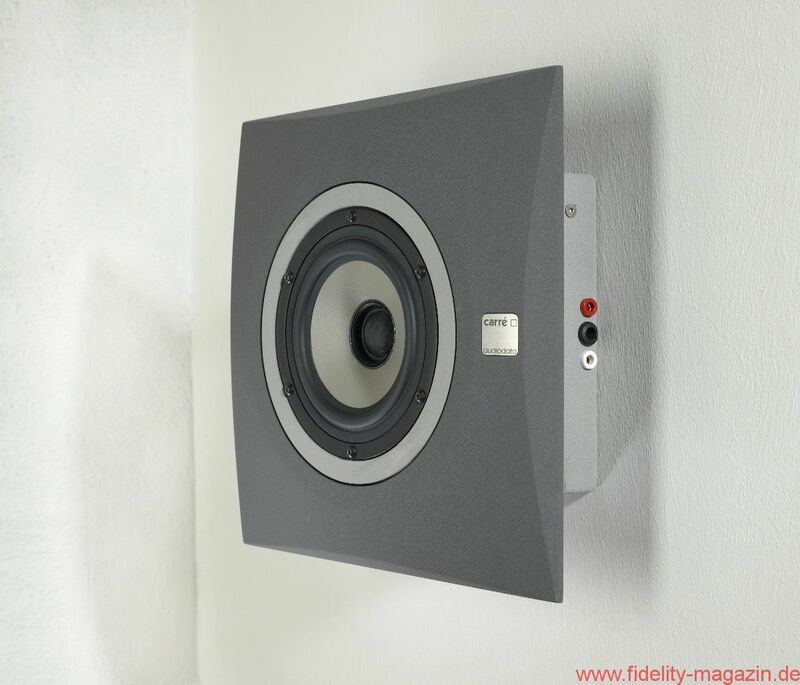 Initially, this involves measuring room acoustics and discussing the results with customer in order to design a solution tailored to their individual requirements. 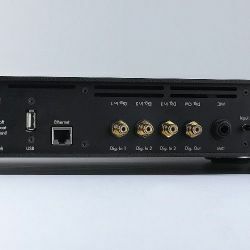 With the expansion of the product range to include music servers, for which remote maintenance is also offered (and ordered 95% of the time), it seemed an obvious step to expand the portfolio by offering support services and individual streaming solutions. Customers can choose from a variety of front panels, cables, hard drives and software packages to outfit their music servers. 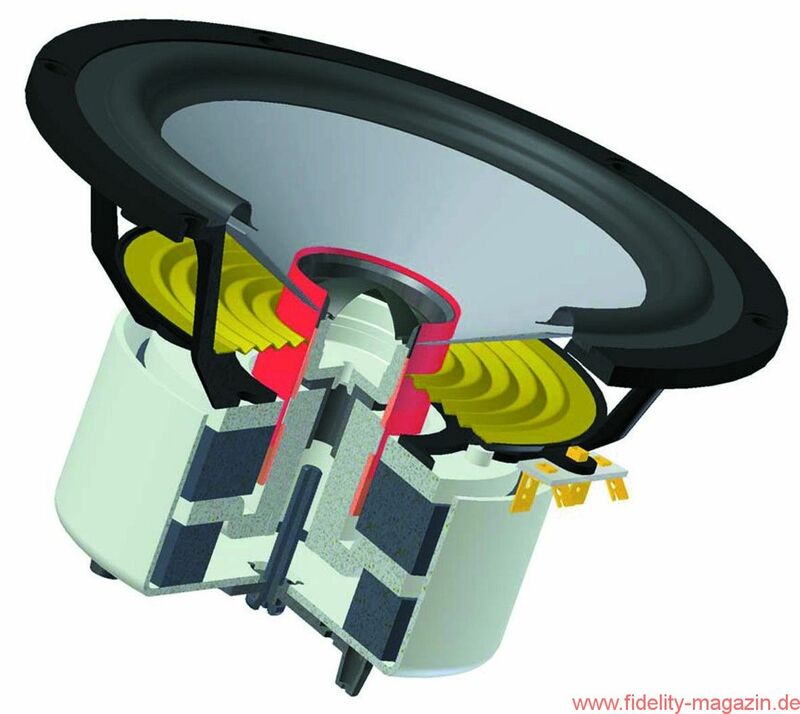 The devices are built individually at the company’s Aachen workshop based on the customer’s specified components. 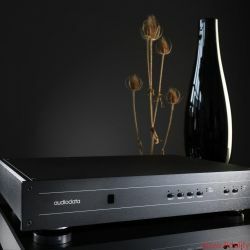 In addition to Germany, Audiodata’s new product range is now enjoying growth in Switzerland and the Benelux countries. 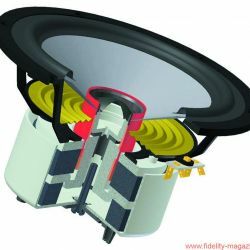 Shifting the company’s commercial focus to technical engineering services, however, meant that restructuring would be needed at the company. 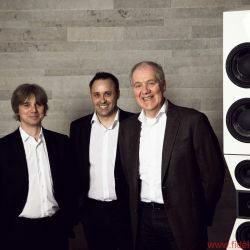 While the firm had more than a dozen employees during its bustling period as loudspeaker manufacturer at the start of the millennium, it now has two employees. 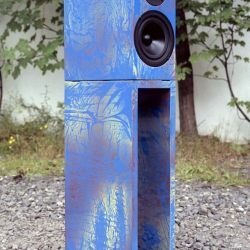 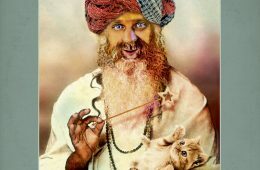 In order to continue work on the loudspeaker range as would be appropriate, Peter Schippers, the self-professed modern jazz fan and passionate sailor, went in search of a suitable partner. 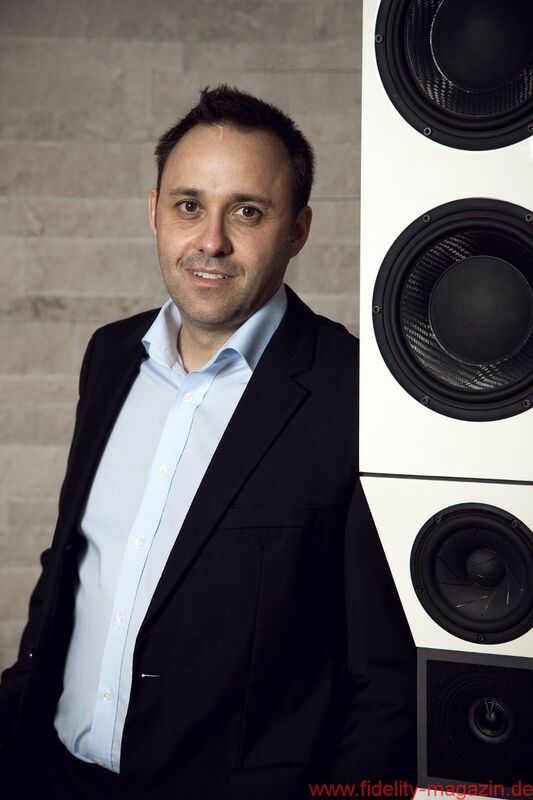 With success: Together with Franz Stöger and Hannes Palfinger, Peter Schippers established the Audiodata Lautsprecher GmbH in 2014. Franz Stöger, who operates the well-known hi-fi studio Tonart in Vöcklabruck near the Salzkammergut (Austria), has had a longtime business relationship with Schippers as an Audiodata importer in Austria. 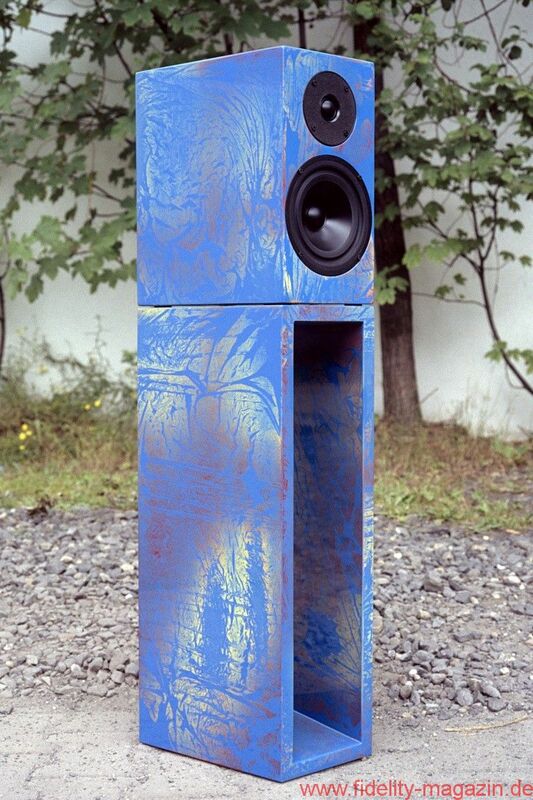 And Hannes Palfinger had his formative experience with Audiodata in the early 2000s with his purchase of the then-top model Sculpture. 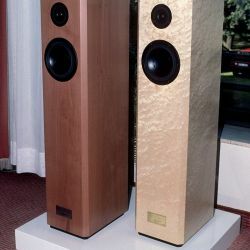 During his starting years in the high-end scene, Palfinger also met Franz Stöger, who then introduced him to Peter Schippers. 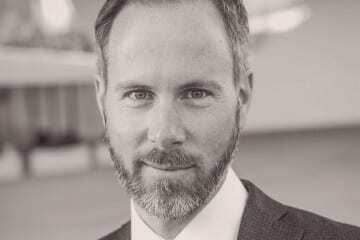 When he realized Schippers was in search of support to continue his loudspeaker segment, it wasn’t too difficult for Hannes Palfinger to decide he was the right person for the position of lead financier and managing director of the newly formed company. 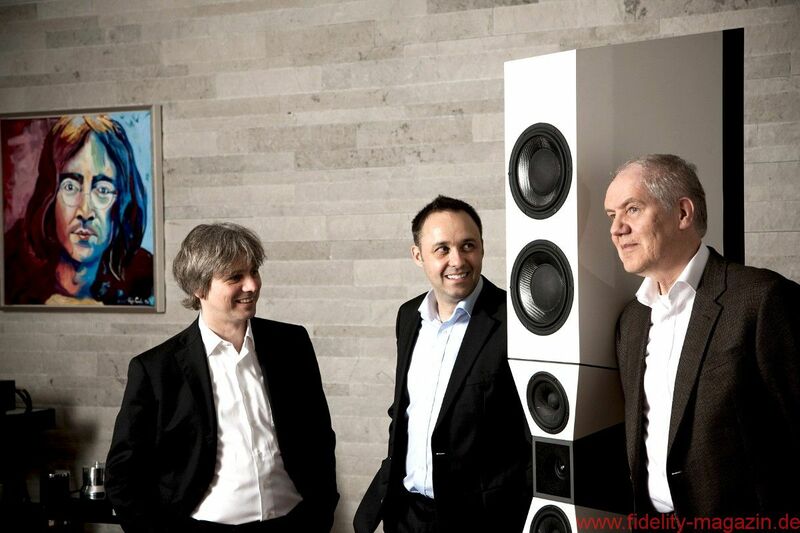 With degrees in mechanical engineering and economics, Hannes Palfinger, who had also started a regular meeting for hi-fi enthusiasts in his hometown of Salzburg, originally came from an industry in which he was less involved with delicate electronic components than with heavy machinery: His family’s firm Palfinger is listed on the stock exchange and he and his brother are members of the supervisory board; the company specializes in lifting and loading equipment and is a world leader in knuckle boom cranes. 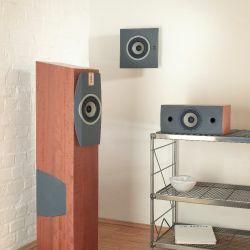 Hannes Palfinger’s interest in hi-fi began in his teenage years at the end of the 1980s and a fascination with a friend’s Sharp system with a “1000 watts sticker”. 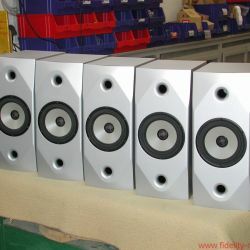 His own first system consisted of a Sony midi system with home-made speakers housing “size 38 bass drivers of the cheapest origin”. 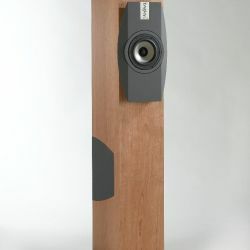 His quality standards for music playback would rise rapidly, though, and proof of that can be found in his familiarity with the Sculpture speaker from Audiodata. 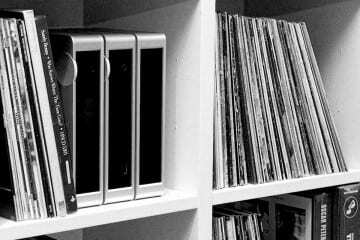 With regard to music, Palfinger is open to anything except jazz and classic music. 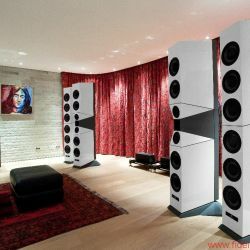 Along with the Beatles – he commissioned a painting immortalizing the band on a wall of his listening studio – his favorites include the Alpine musician Hubert von Goisern and songwriters such as Tori Amos, Kate Bush and Alanis Morissette. 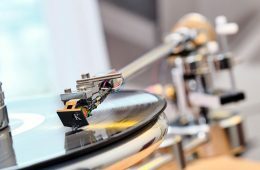 Palfinger’s other fondness, in addition to hi-fi and music, is sports: While studying for his degree, he was a four-time Austrian champion in track and field sprint competitions. 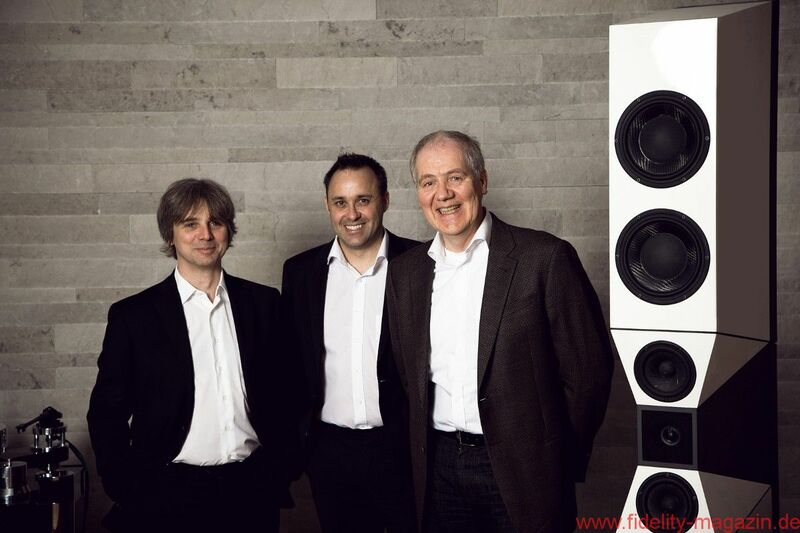 For the relaunch of the Audiodata loudspeaker range, a new series of reference loudspeakers was developed under the guidance of Franz Stöger; the first model, Master One, makes its official premiere at the HIGH END 2015 in Munich. 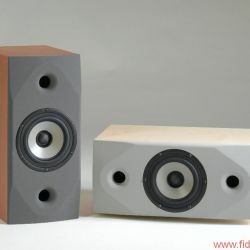 Models Two and Three have been announced for later in the year. 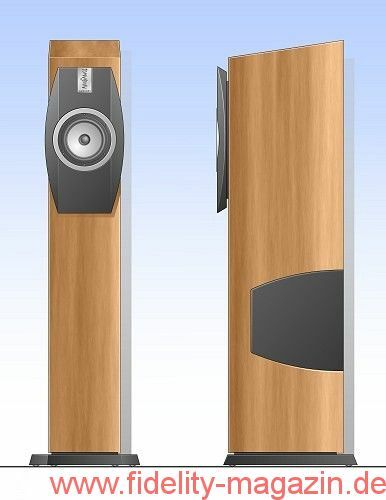 The new loudspeaker series features an innovative coaxial chassis with an extremely low distortion beryllium tweeter and unique cabinet design that minimizes resonance. 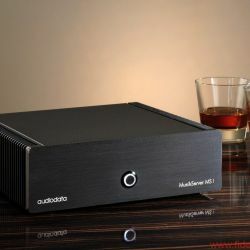 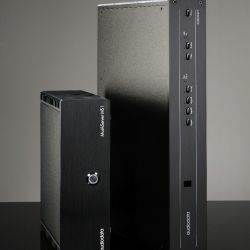 In addition, traditional elements from earlier Audiodata series were reengineered and integrated in the new systems, including the use of multiple active sensor-controlled bass systems. The company is also planning to relaunch classic Audiodata models such as the Sculpture and Avancé once they have undergone a thorough technical overhaul; Belgian product designer Stan Maes will also give them a visual facelift before the relaunch. 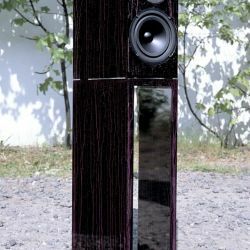 In addition, the powerful Sculpture will have a matching subwoofer. 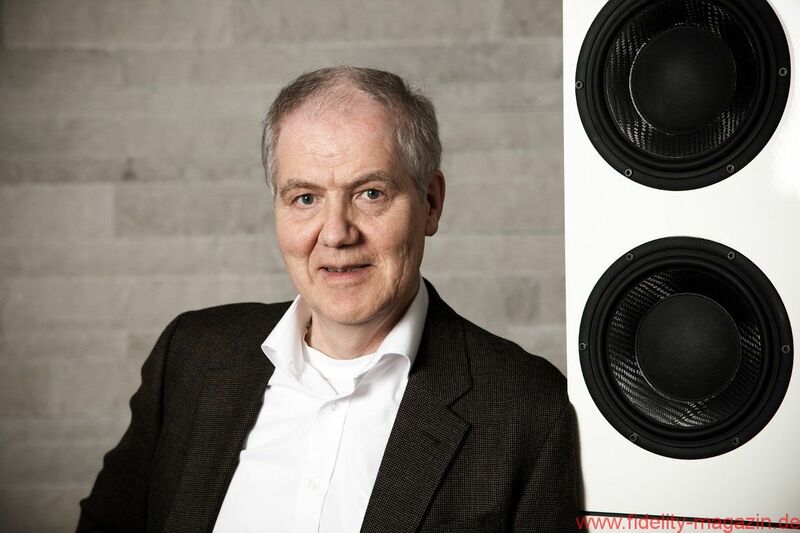 For Hannes Palfinger and his team, it is important that all products are capable of being updated, so that owners of older models can benefit from innovations in improved terminals, reworked crossovers or new components and cables. 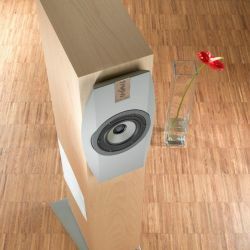 In addition, future loudspeakers should be structured with individual modules whenever possible in the interest of sustainability. 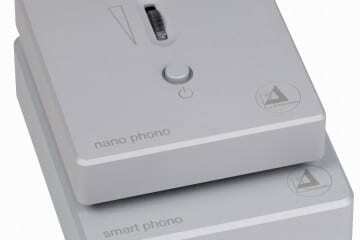 But for Palfinger, sustainability doesn’t mean that everything must be recycled at any cost: Instead of simply adopting the existing logotype – originally created by Audiodata founders themselves using a Letraset transfer kit – Palfinger commissioned the Ramsl agency in the Salzkammergut region to design a new company logo. 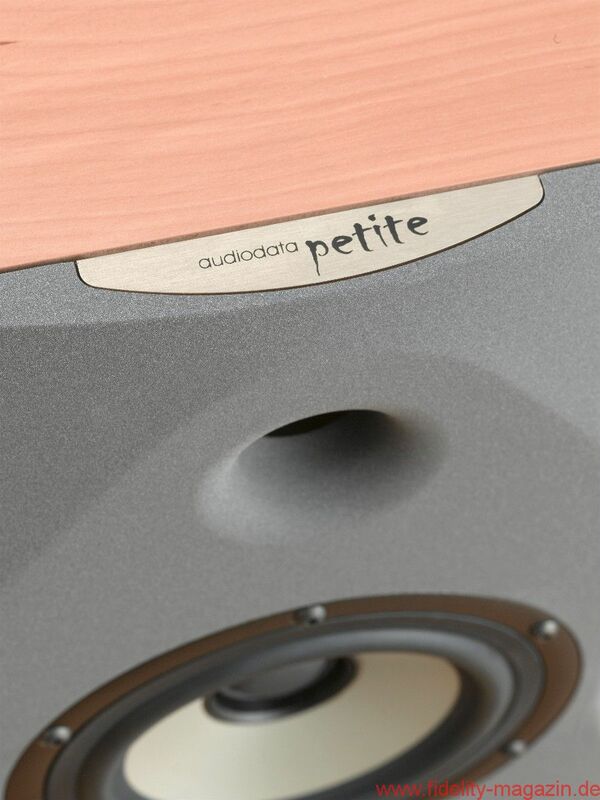 The type, Palfinger explains, should convey as clearly as possible the attributes of “modern, refined and upscale”; the old logotype, unmistakably reminiscent of the 1980s with its minimalist style, seemed less suitable. 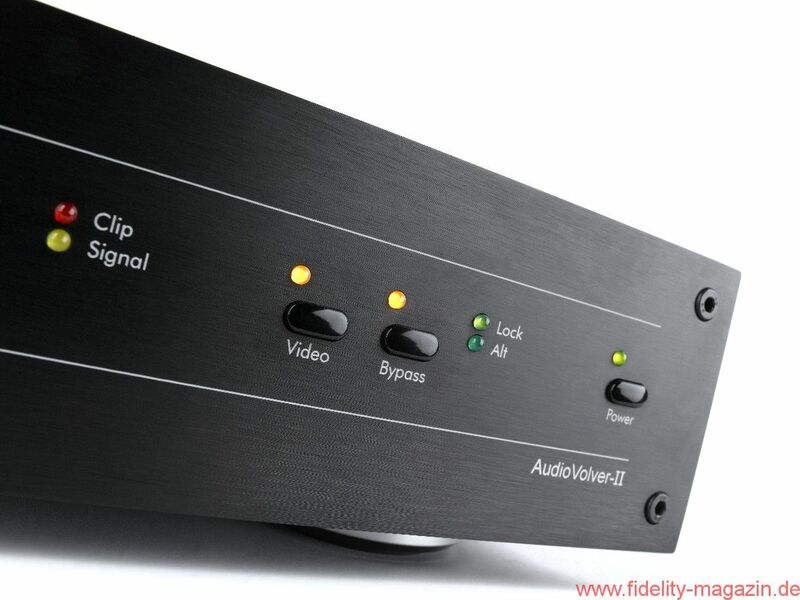 Of course, what is critical for the system’s sound is not the logo and typeface, but what’s inside. 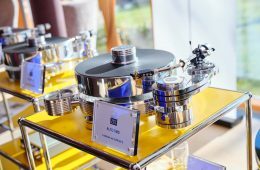 To that end, chassis are manufactured by SEAS and other well-known suppliers according to Audiodata specifications and assembled at the Salzburg plant, some of them in Vöcklabruck as well. 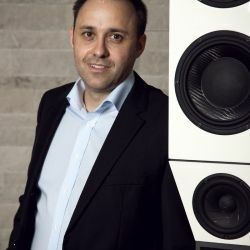 The main markets for the young company, now with more than four employees, are currently the European Union and Russia – but for Hannes Palfinger there is no doubt that the company will soon be making inroads in the Asian and North American markets too.